A favorite destination for honeymoons and romantic getaways, St. Lucia is the ideal serene, scenic setting in which to celebrate your love. 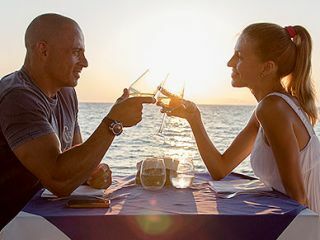 Our romantic hotels and resorts in Rodney Bay Village and on Reduit Beach are ideal for intimate escapes, and when you reserve a Bay Gardens Resorts honeymoon package, you’ll have everything you need for a classic couple’s getaway to the Caribbean. Congratulations on your marriage! Enjoy a complimentary honeymoon as our gift to you. 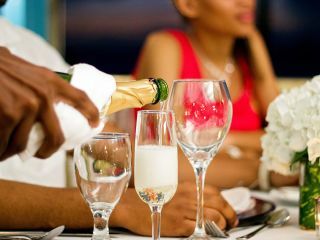 Receive a honeymoon basket filled with romantic treats including tropical fruits, sparkling wine, and breakfast in bed on your first day, when you stay a minimum of three nights and show proof of a marriage certificate. The Honeymoon Experience add-on package is a supplement to any room rate or meal plan and may not be refunded. The resort reserves the right to amend the package and/or its price without prior notice. Breakfast must be included in your package in order to receive breakfast in bed, otherwise regular charges will apply. This hassle-free honeymoon package includes everything you need for a romantic beach getaway, including the room! Rates do not include 20% tax and service charge; final rate dependent upon accommodation selection.